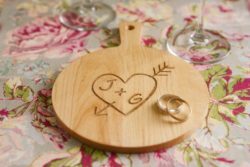 The Chef’s Shoppe is the perfect place for couples to create their dream wedding registry. We have thousands of kitchen essentials, gadgets and unique accessories, making it easy and fun to shop local while still having access to some of the very best brands. You can even create your very own “Wish-List” (great for any occasion! ), so friends, family and colleagues can still surprise you with a gift they know you’ll love.